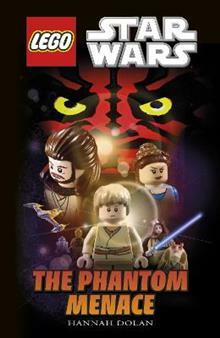 First of the three-part prequel to the original Star Wars saga, this title helps your child learn all about the Lego Star Wars characters from The Phantom Menace . It lets your child discover the Star Wars stories and meet Obi-Wan and Yoda. It also takes them on a trip to the pla... read full description below. Meet all your favourite characters from Lego[registered] Star Wars Episode 1 . Designed to engage even the most reluctant reader, your child will love learning all about the Lego Star Wars characters from The Phantom Menace . Watch while your child discovers the Star Wars stories and meets Obi-Wan and Yoda, in the first of the three-part prequel to the original Star Wars saga. They'll also take a trip to the planet of Tatooine and meet the young Anakin Skywalker. This is a great collectors item for fans of Lego and Star Wars . Filled with amazing pictures from Lego Star Wars Episode 1 , it's an out-of-this-world read. And don't forget, there's a galaxy-full of DK Lego Star Wars books to collect.